Atlantis Bathrooms on the Wirral are known for our commitment to provide high quality bathrooms we specialise in a full design, planning and installation service to create luxurious dream bathrooms. We understand the importance of making your bathroom into the perfect dream and as such supply the highest quality products and skilled expertise to make your bathroom as individual as you are. You are invited to visit our luxury showroom on the Wirral, where you will be able to view examples of our extensive and inspiring range and discuss your ideas with our knowledgeable and creative team. Our flexible, bespoke approach means you are welcome to choose everything you need to create a new bathroom, or we can simply supply you with a range of products from the most modern and exciting design led manufacturers. We also specialise in granite, natural wood and quartz to add that touch of luxury to your bathroom design. Drawing on more than 20 years experience of bathroom installation in Wirral, Merseyside and Cheshire we provide a full design and planning service. Our friendly, creative designers will listen to your ideas and offer advice and guidance on the best options available to make your dreams a reality. With their expertise help and guidance our clients can ensure their chosen design will truly reflect their own personal flair. 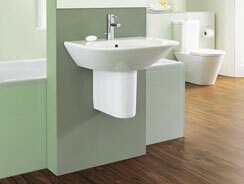 The best way to discover what Atlantis Bathrooms has to offer is to visit our showroom on the Wirral.